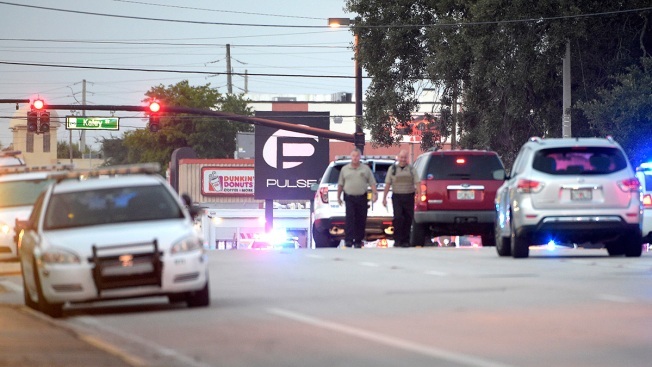 Police cars surround the Pulse Orlando nightclub, the scene of a fatal shooting, in Orlando, Fla., Sunday, June 12, 2016. 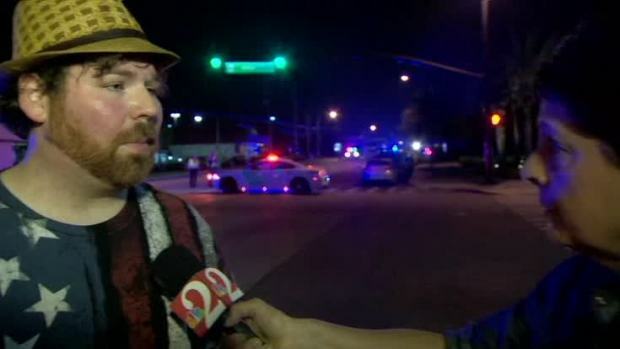 A gunman took hostages and opened fire inside a crowded nightclub in Orlando, Florida, early Sunday morning, killing 49 people and wounding 53 others before SWAT officers killed him, authorities said. 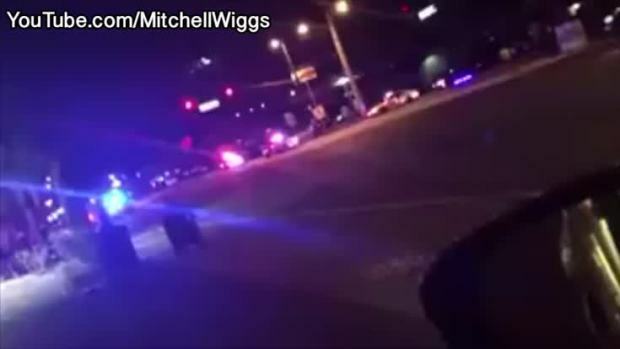 Police Chief John Mina said the shooter had an assault-style rifle, a handgun and a "suspicious device" with him during the attack, which is being investigated as an act of terrorism. — Feb. 25, 2016: Cedric Ford, 38, killed three people and wounded 14 others lawnmower factory where he worked in the central Kansas community of Hesston. The local police chief killed him during a shootout with 200 to 300 workers still in the building, authorities said. The scene outside Pulse Nightclub in Orlando, Florida. — June 17, 2015: Dylann Roof, 21, shot and killed nine African-American church members during a Bible study group inside the Emanuel African Methodist Episcopal Church in Charleston, South Carolina. Police contend the attack was racially motivated. Roof faces nine counts of murder in state court and dozens of federal charges, including hate crimes. — Sept. 27, 2012: In Minnesota's deadliest workplace rampage, Andrew Engeldinger, who had just been fired, pulled a gun and fatally shot six people, including the company's founder. He also wounded two others at Accent Signage Systems in Minneapolis before taking his own life.